Following on from 2016’s Cycle of Survival comes a further 42 minutes of atmospheric black metal provided by the enigmatic entity that is Ovnev. 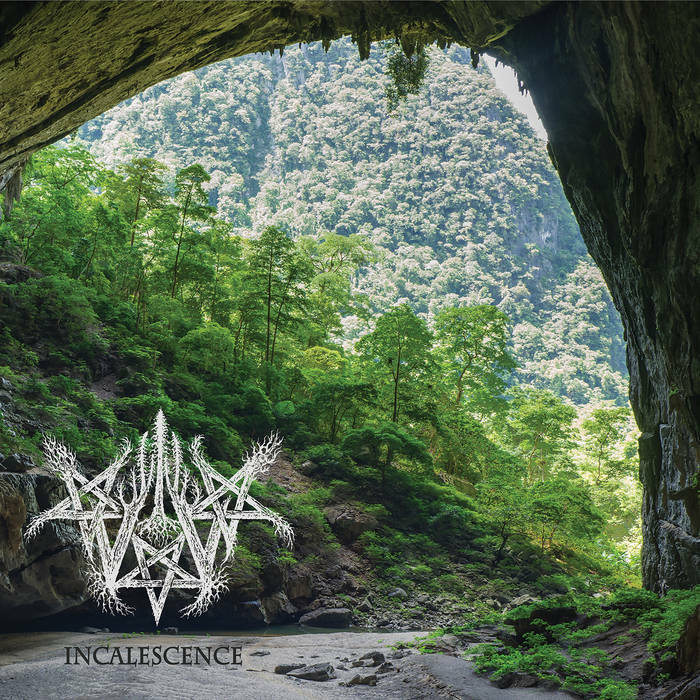 Incalescence continues the style and themes found on Ovnev’s debut album; underground black metal, played in an engaging atmospheric manner, with plenty of acoustic guitars, melodies, and raw bite. Folk and progressive elements can be heard, and I like the inclusion of mournful leads, enhancing the sometimes bleak music. There’s a lonesome grandeur to this album. It’s as if you’re a witness to a grand exploration, one that will only be experienced by a vanishingly small amount of people, but one that’s no less profound in its revelations because of this. Incalescence is adept at conjuring these kinds of images and feelings, and even when it turns up the heat with speed and aggression, the music is still exploratory and expansive. The acoustic sections are particularly enjoyable, adding further depth and substance to the material. These songs are textured and rich, despite having a base of cold, frozen black metal from which to launch their progressive forays. Once again the man behind Ovnev has produced an extremely enjoyable piece of work that should appeal to any atmospheric black metal fan. This entry was posted in Black metal and tagged Atmospheric Black Metal, Black metal, Folk Black Metal, Metal, Ovnev, Progressive Black Metal. Bookmark the permalink.